The MTA is very close to signing a deal that will thoroughly modernize its aging fleet of subway cars, part of the ongoing headache for the agency. 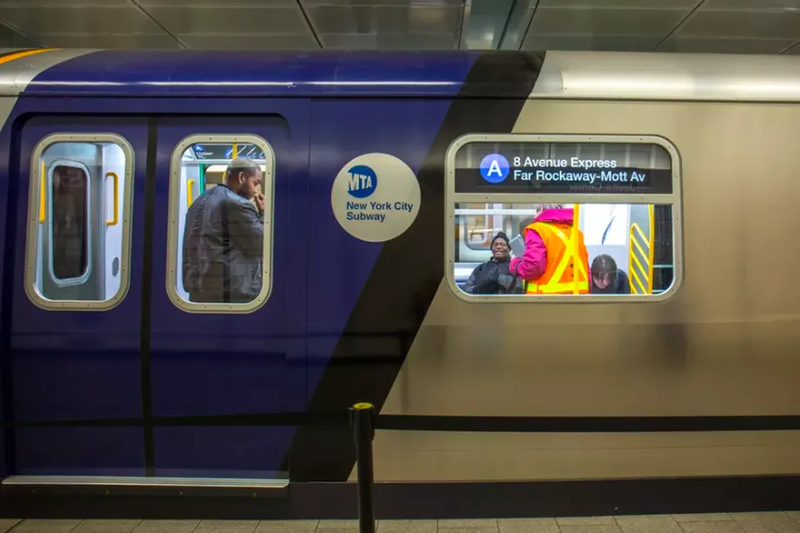 Though the agency’s board has yet to approve the deal, the MTA is planning to spend $4 billion to acquire this large, new set of train cars, the New York Times reports. The MTA is looking hire the Japanese firm, Kawasaki, to build these cars, and the manufacturer will do so at its facility in Yonkers, New York, and Lincoln, Nebraska, if it is officially awarded the contract. These 1,612 new train cars will become available in three phases. At first, the MTA will spend $1.45 billion to purchase 535 cars, and then buy more depending on how the first order performs. 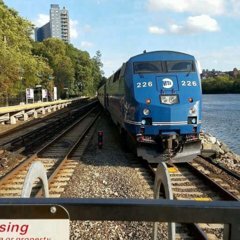 This first order of cars (known as R211) will replace the fleet of R46 cars that run on the A, C, F, and R lines, and some shuttle trains; and the entire fleet of trains that run on the Staten Island Railway. Some of the new additions to these trains will include brighter lighting, a new color scheme, and eight digital screens in each car that will display train information and also be used for advertising. What’s more, the trains will be fitted with monitoring systems that will relay information about the train in real time, an improvement over the existing system, when the train can only be properly examined at the rail yards. The manufacturer, Kawasaki, will also be on the hook, if the train’s brakes or doors start malfunctioning before a certain time period. Part of this train order are the much talked about open-gangway cars. The MTA debuted a prototype of this car amid much fanfare in December last year. Initially, the agency is planning to order 20 trains for this model. The open-gangway trains will comprise of two sets of five-car trains, which will have completely open pathways in each section. If the train performs well, the rest of the order might all be open-gangway cars. Overall, these new trains will fit 55 more people than existing trains, for a total of 1,785 people. The MTA Board is scheduled to vote on this order later this month, and if that goes through, the first set of train cars will arrive in 2020. $4 billion? And there's really only what, 3 qualified bidders? Yeah it's the same companies over and over again. Nothing wrong with Kawasaki, but the lack of vendors has to drive up costs. Bombardier, the main competition to Kawasaki, was disqualified due to the many delays related to the 179 order. Since they were no longer a contender, the partnership between them and CRRC to do a joint bid was dissolved. As for some other builder, like CAF as mentioned above, it looks like either they were not interested in the order or they could not match the estimate given by Kawasaki. Another thing to consider is that both Bombardier and Kawasaki are very familiar with the NYC subway system and are usually able to guarantee a quality product (179 delivery issues notwithstanding), which therefore makes them the go-to builder for new cars here. Also, isn't there a rule that states any car built for the MTA must be at least partially built here in New York, or am I imagining that? On a side note, having one or two primary builders is not a new concept for the NYC subway. For decades, most of the cars built were done so by either American Car and Foundry or later the St. Louis Car Company, the latter of which until they went out of business following, among other things, the various issues surrounding the R44 order. With the Bombardier/Kawasaki tag team beginning with the R62 order in the early '80s, there was never a large playing field of car builders for the subway here. All of what you state is correct, but it's a double edged sword... If any of these companies fold, the is going to be in a world of hurt for obvious reasons. The other thing is that because our subway system is a hodge podge of lines put together, its "uniqueness" helps to keep costs what they are as well..
Then why the f did you post this? The idea that price is proportional to items purchased needed explaining? That's generally how it works: $4B for 1612 cars. What I/we're saying is that limiting procurement orders to two "qualified builders" means paying $2,481,360 per car when adding other bidders to that qualified list could reduce that cost because of competition. We're endorsing free market competition instead of agreed oligopoly. If CAF, Hitachi (AnsaldoBreda), or Siemens bid and can build each car for $2 million and save $800 million, is that not a good thing? Can’t fault you for this truism about . Comes down to monitoring contractors better and not adding fifty-eleven things to orders. Really, we should repeal Buy America for the railroads. America is not nearly a big enough market for the experts to set up shop here for one order once every twenty years. All this does is increase costs to the taxpayer. If America were meant to have its own healthy rail industry, you'd see a domestic manufacturer. The fact that this largely doesn't exist is telling. And the companies that do bid on our contracts are from Europe, China, or Japan—all places with heavy investment in rail. Since we no longer have the expertise or volume to maintain domestic production, they’re exporting it to us at great expense to taxpayers. Agreed. I think their attitude is we're keeping these cars or buses for X amount of years, so what's a few extra million here or there, but to me it again shows how inexperienced they are. I mean really... It should be a no brainer that wider doors allow more people egress and ingress. I see no need to keep fiddling with the doors on buses over and over and then they're changing the signs over and over too with no positive outcome. It's like a change order overload, and before you know it, they've spent like it's no tomorrow with not much to show for it. I completely disagree with that. Buy America isn't the problem. You can buy American AND keep costs down if done correctly. The real issue is a lack of vendors. If we had a more robust railroad system here we'd have more options. I mean listen the Europeans sure as hell are protectionists. Look at Germany and France. Germany is the biggest economy in the EU block followed by France. The UK is second in Europe technically, but they're not part of the EU. The Germans build like crazy and so do the French. Products are expensive but they are built well and last. Here we spent millions and get garbage, so the standards need to be raised. The problem is that we don't have such a railroad system here in the US and thus there is little incentive to heavily invest in rail-related products in this country. Despite the wide-reaching Amtrak services and pockets of heavily used commuter and rapid transit rail systems, we are a car country at heart. Whereas other countries such as France and Germany as you've mentioned, invested a great deal of capital into their railroads following WWII, we went in the complete opposite direction with initiatives such as the Interstate Highway Act and other similar projects. Until that kind of thinking changes where we become more of a rail-oriented country, which I doubt will happen any time soon, you can expect most of our railcars to be mostly imported from other countries. Another thing to consider is that, even if some American company were to establish itself as the go-to place for railcars and the like, it would have to get international buyers as well to absorb the costs of operating in a country where rail is not the primary mode of transportation. This would be a massive undertaking given how saturated the international rail market is. While we seem to be stuck with only two vendors here in NY, it is a wide playing field for other countries and I doubt it would be easy for any new company to weasel its way in when there are so many well-known names in the business. It wouldn't be impossible, but it would be unlikely that such an upstart would survive without being either taken over or bought out by some larger international entity. Yeah well we're essentially paying for our lack of investment in the railroads here going back decades quite frankly. There are a number of American manufacturers that went out of a business as a result, so this is what we have. Outside of NYC, we're still a country that is obsessed with cars and driving, and I think long term that may come back to bite us. It would be one thing if we were making investments in infrastructure in general, but overall we're not doing much of anything. A bridge here and there doesn't cut it. It also seems as if we need to re-examine the quality that we get for the money. It's crazy to me when I look at the infrastructure in Europe (be it railroads, roads or what have you), their quality standards are much higher than ours. The advantage that the Europeans have I suppose is that most cities are much smaller than ours and are laid out much differently allowing for and in some cases necessitating the need for rail usage more to alleviate car congestion. That's entirely the point. The problem is that now it is way too late to be playing catch-up with our rail industry, so we might as well not even bother. The behavior is a bit strange, though, because while European manufacturers have never had problems selling to us, the reverse has never been true; I have never heard of any American rail company making a large order for an overseas customer. That's probably most of the reason why they died; after all, Boeing still exists even though the American airlines are much less healthy than they were pre 9/11. I don't know if I agree with that. We need infrastructure upgrades. Congestion is a problem nationwide, and we are not keeping up with anything, so ultimately, if we don't invest at some point, we will feel it in terms of lost productivity and lost money. Having a national railcar industry, on the other hand, is like trying to resuscitate the coal industry. There's no money in it, we're just throwing good taxpayer money to subsidize a pitiful amount of jobs.